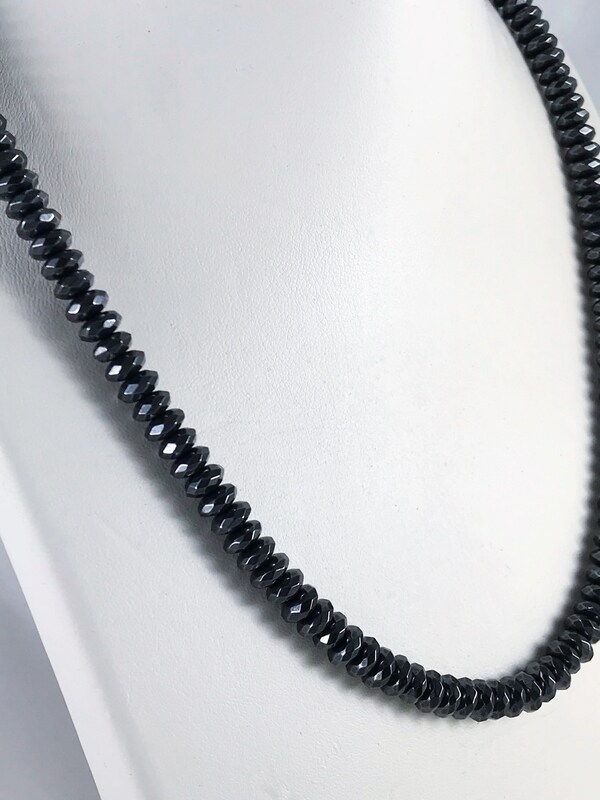 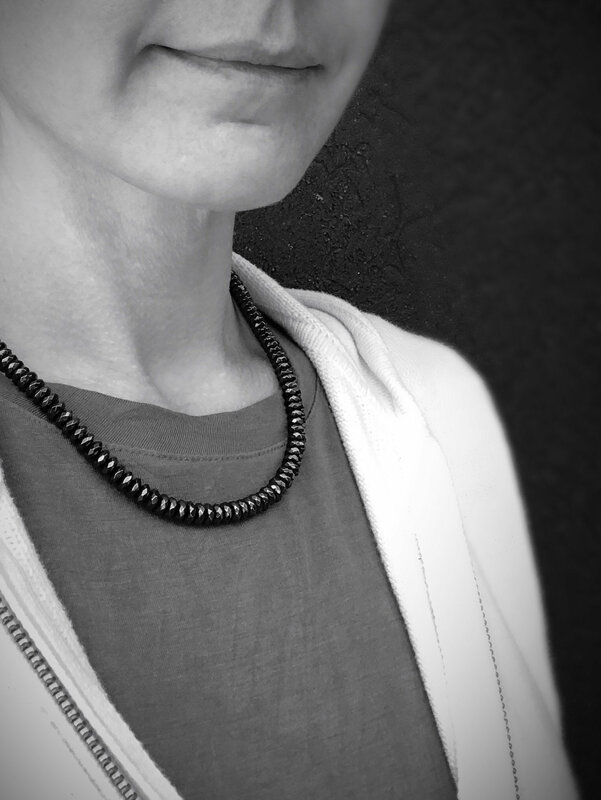 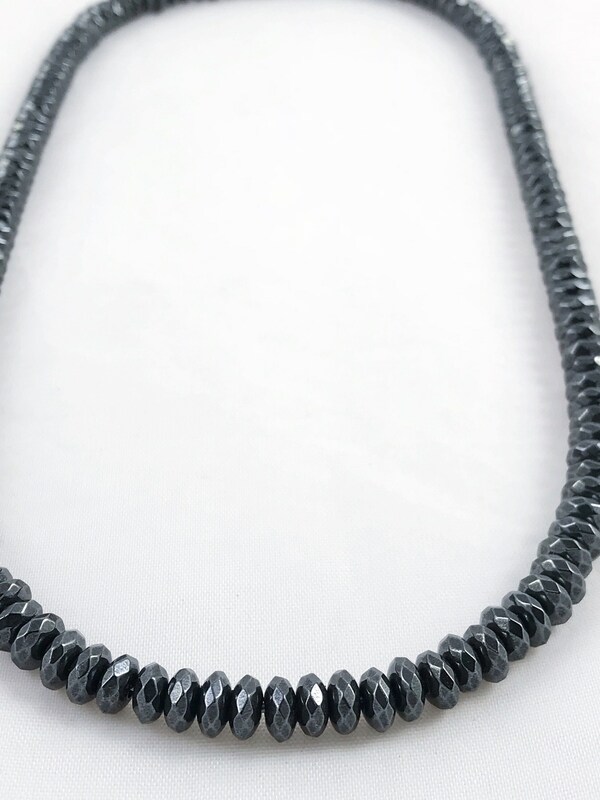 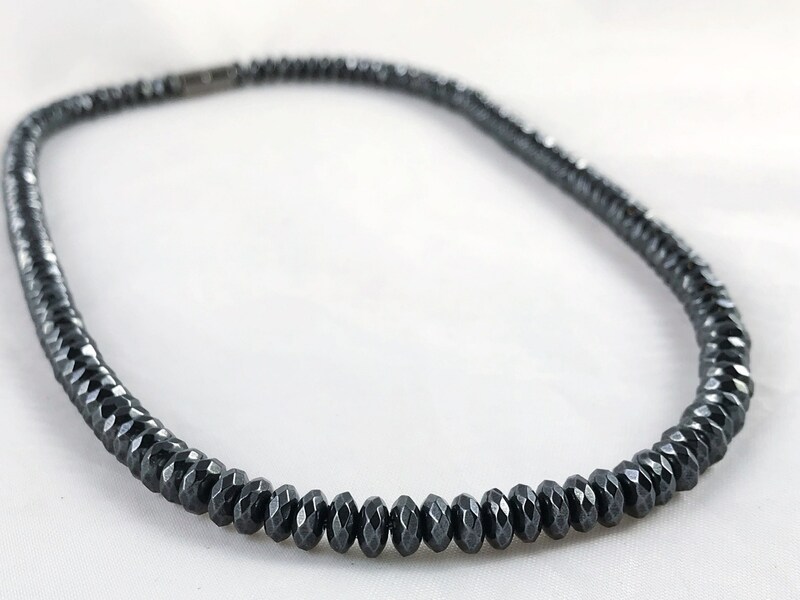 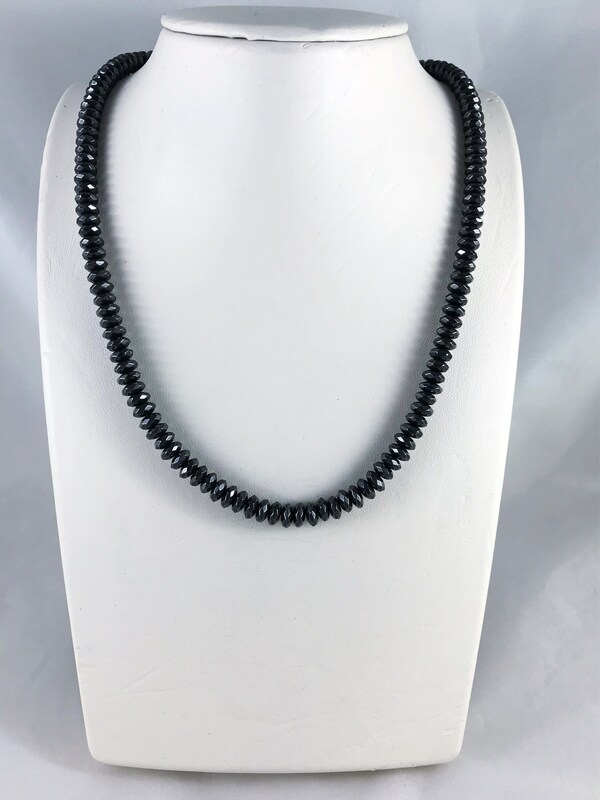 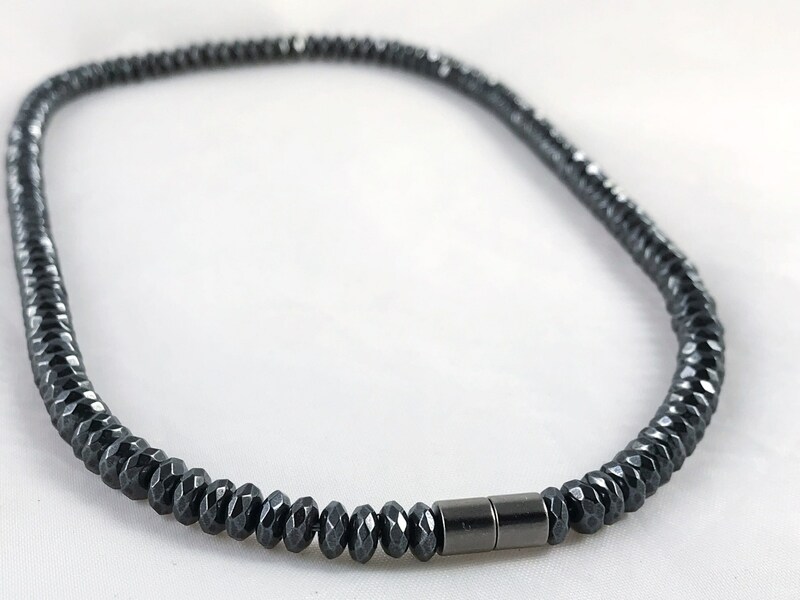 Magnetic hematite necklace with beautiful faceted rondelles that catch just the right amount of light. 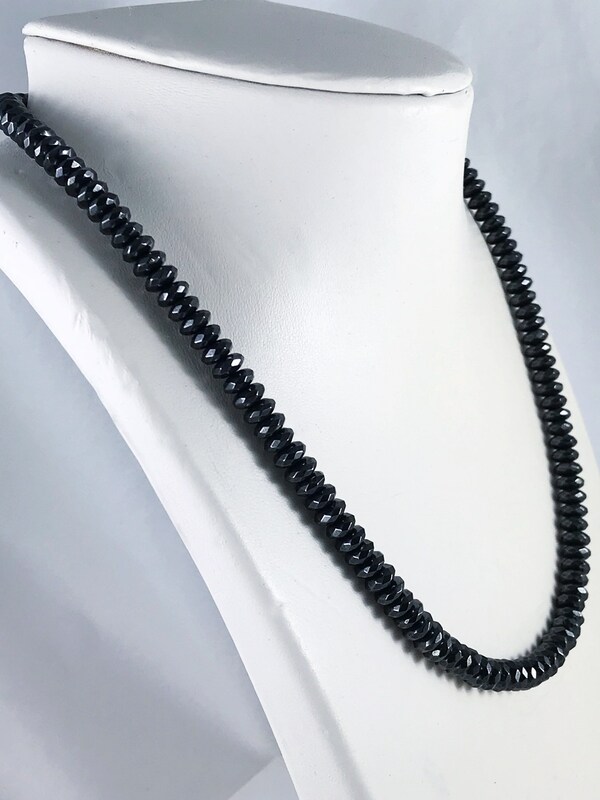 Rondelle beads are 6mm wide and 3mm thick, highly polished in their natural gorgeous color and luster. 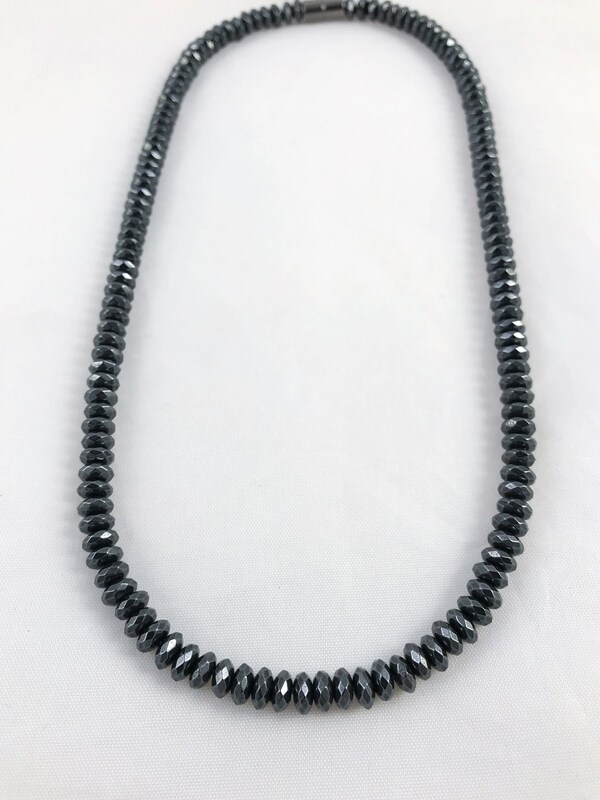 The style is a great look for men or women, casual or dressy, and the entire piece is magnetic.